Christopher Abiuso is currently a rising 3L at Maurice A. Deane School of Law at Hofstra University, with a projected graduation date of 2019. 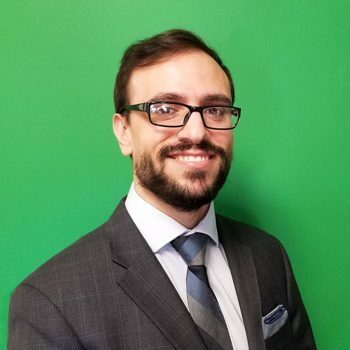 After graduating from Stony Brook University in 2014 with a degree in psychology, Christopher decided to pursue a legal education to further align his interests with his career. Now, he is a Notes Editor for the Hofstra Law Review and was one of four people to construct and grade Hofstra’s writing competition, which nearly all first-year law students took part in for acceptance into one of Hofstra’s myriad law journals. Furthermore, Christopher is following the Intellectual Property Law Honors Concentration and is a member of the Hofstra Intellectual Property Law Association. As an Eagle Scout, he is no stranger to the rigors of hard work and dedication. He hopes to continue his intellectual property pathway and, hopefully one day, work as in-house IP counsel. When he isn’t studying, grading, or working, Christopher likes to spend his free time cooking, reading, or running.